Nestled among majestic limestone cliffs and groves of oak and pecan trees at the confluence of North and South Llano rivers, Junction is a place of stark natural beauty. Settled at the intersection of the Texas Hill Country and West Texas, the town's magnificent landscapes come alive in the spring. Fields full of purple, red, and yellow flowers greet a multitude of colorful migratory birds, and all the other animals that call this part of the Lone Star State home seemingly awaken from their season-long slumber. Needless to say, if you love the outdoors, you need to visit Junction this spring. Read on to discover why. Straddling the western edge of the gorgeous Texas Hill Country, Junction is surrounded by some of the Lone Star State's most eye-catching scenery. What better way to relax and unwind than by immersing yourself in all its resplendent beauty? Welcome the spring sunshine with a cup of coffee in hand as you gaze out at a field of blooming wildflowers from the front porch of Cool River Cabin. Then greet the hummingbirds at the fountain behind the cabin before making the short 10-minute walk to the beautiful Llano River, where you can swim, fish, paddle (a canoe and kayaks are available for rent), or kick back and breathe in all the fresh air. Traveling with friends? Reserve the two-bedroom Hacienda Maria, a spacious house that overlooks the Llano River Basin. Of course, there are other secluded spots ideal for spring getaways near Junction. 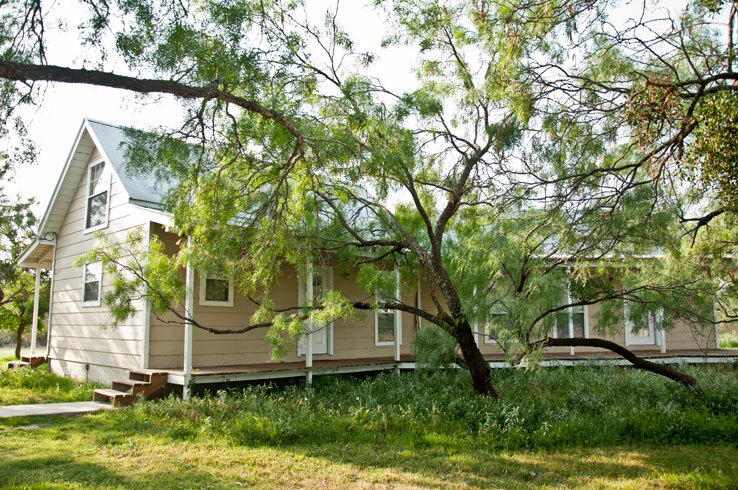 The Quiet House at Red Creek Nature Ranch is a quaint two-bedroom retreat with space for up to five people. Enjoy views of the ranch as you explore hiking trails during the day, then gather around the outdoor fire pit and admire all the shining stars that fill the sky at night. Secluded and peaceful, the Quiet House is the place to revel in all the splendor of spring. Click here to see a full list of Junction's cabins. Test your accuracy with a bow and arrow, learn how to throw a tomahawk, and unwind with an afternoon yoga class. 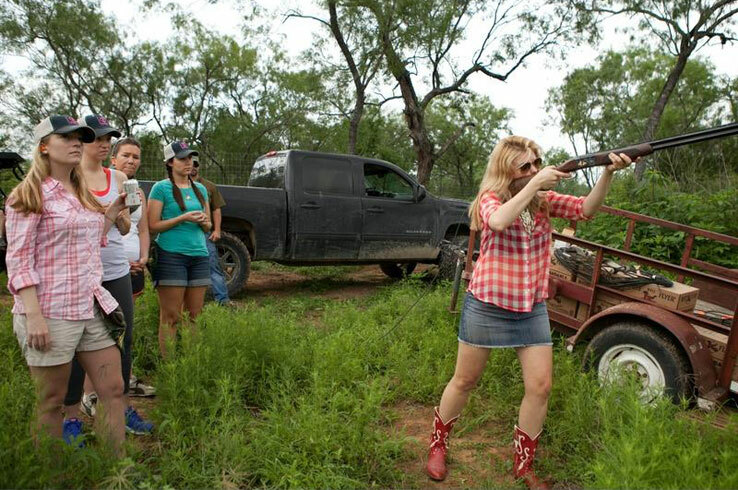 If this sounds like the best day ever to you, don't miss Outdoor Women Gone Wild (May 4). Featuring a wide range of activities, this annual event just for the ladies is an awesome way to try something you've never done before. Along with the archery, ax tossing, and yoga, you can choose from bird watching, fly fishing, shooting, outdoor photography, and even self-defense lessons. There are a ton of ways you can get your hands dirty, but the best part is you'll be doing so while surrounded by Junction's abundant beauty. It doesn't get any better than that, if you ask us. When that spring sun is shining bright, head for the Llano River. Flowing past limestone bluffs, the river's clear and blue waters provide just the place to enjoy the outdoors. 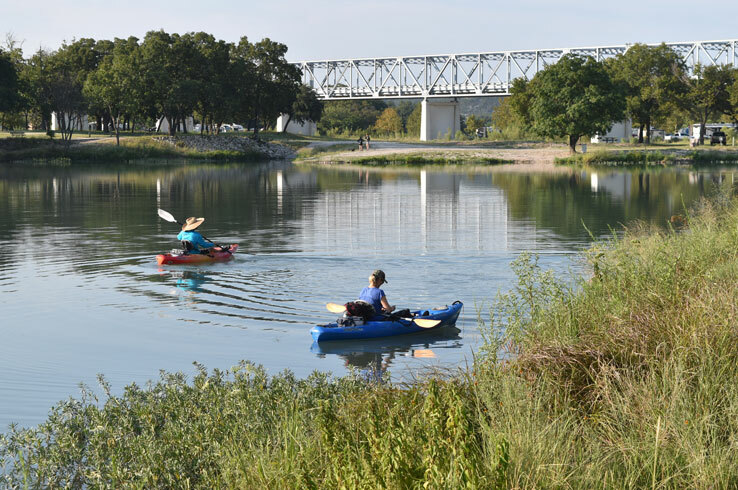 Go for a relaxed float on an inner tube or explore more than 22 miles of the South Llano River's many twists and turns, starting at the first or second crossing near Telegraph and flowing north past South Llano River State Park to Junction. Along the way, you'll pass towering hills and cedar elm, oak, and pecan trees, as well as the occasional white-tail and axis deer. As spring turns to summer, the Llano River is a great spot to escape the heat. Always cool, the spring-fed river has its shallow and deep spots, and its current is friendly for swimmers. You can dive into the river at the swimming areas in South Llano River State Park, which is just a stone's throw away from downtown Junction. Spring is a season of vibrant color in Junction, and not just because of the cornucopia of blooming wildflowers. Every year, hundreds of species of birds migrate through the area, making this West Texas destination one of the best spots in the region for birdwatchers and nature lovers. 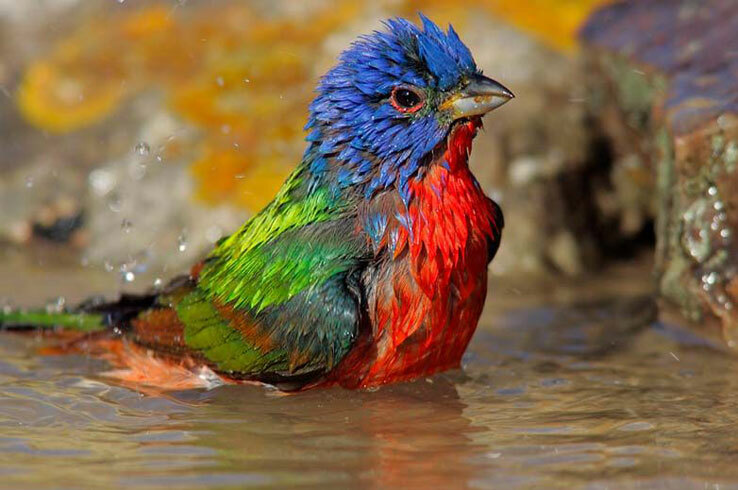 The epicenter of all the action is at South Llano River State Park, where such bucket list-worthy birds as painted buntings and green kingfishers can be spotted. Spy these, and many other birds, as you traverse more than 18 miles of picturesque hiking and biking trails that wind through hardwood forests, canyons, and up to the peaks of plateaus. Don't leave without exploring the 2.5-mile Golden-Cheeked Warbler Trail, where 250 kinds of birds (along with porcupines, skunks, ringtails, and white-tailed deer) have been spotted. Tread lightly to give yourself the best chance at seeing as many of these amazing animals as you can. There are few things better than an afternoon of friendly competition, warm sunshine and the kind of scenery that would make your jaw drop. That's exactly what you'll get at the Junction Golf Course, so don't leave home without your clubs. You'll need all of them, as the nine-hole course throws an array of sand traps and other hazards at you as it meanders past oak and pecan trees. Three holes include Cedar Creek as an additional hazard, which may make you think twice as you plan out your next shot. Beyond Junction Golf Course's nine holes of traditional golf, you'll find three 18-hole disc golf courses that take full advantage of the rugged Hill Country terrain. 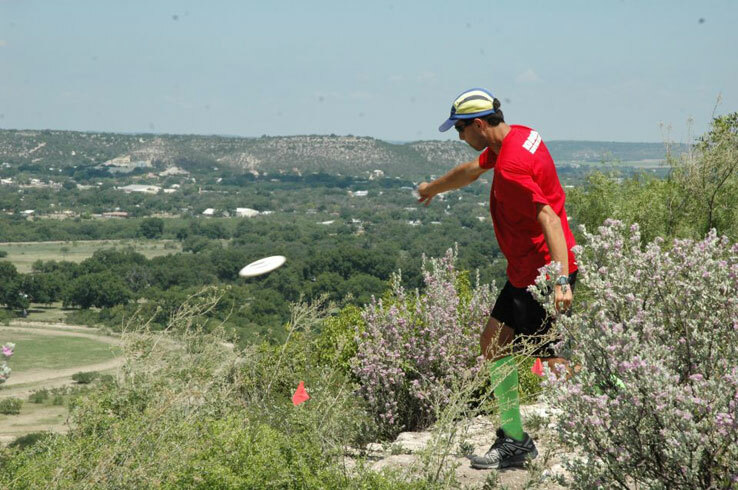 Make sure you’re here for Bill & Ted’s Excellent Tourney (April 13), a PDGA Disc Golf Tournament that features the Top-O-Texas shot from the top of Lover’s Leap, a bluff that overlooks Junction and the Llano River. Bring your A game for the bragging rights and take in all the beautiful scenery along the way. Thanks to the fabulous weather, awe-inspiring natural beauty, and the many ways to enjoy it all, Junction is the place to be this spring. Plan your getaway here.